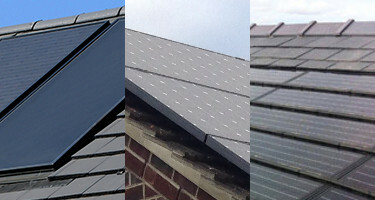 Powerpac are award winning leaders in the Planning, Design and Installation of Solar PV systems. Our clients range from homeowners to large companies, and everything in between. So whether you are domestic, comercial or agricultural, we can design and install a system that will go beyond your expectations. Our trained electrical engineers have a vast experience in ensuring that your Solar PV system will be one that you are not just happy with but actually proud of. If you would like a free, no obligation comprehensive quote from us contact us HERE and we will arrange a site visit to discuss your wishes. Solar PV panels generate electricity by converting sunlight. You do not need direct sunlight to generate the power as the panels will still generate on overcast days. The cells convert the sunlight into electricity, which can be used to run household appliances and lighting, in fact anything electrical, even a plug-in electric car! Reduced electricity bills. As sunlight is free you will need to take less from the grid reducing your electricity bills. Cutting your carbon footprint. Generating electricity through a Solar PV system does not create any CO2 or other pollutants.A typical system could save over a tonne and a half of CO2 per year, thats 30 tonnes for their expected life. On Roof Panel - These are fitted on a mounting kit that sits on top of your roof tiles. This is the most common, and cheapest, way that solar panels are fitted to a property. In Roof Panels - These are fitted on a mounting that sits upon the rafters. This gives the effect of the panels being part of the roof as they sit level with the surrounding tiles. Solar Tiles - These are shaped like roof tiles and fit in with the tiles making them hardly noticible. Solar Immersion - When you genrate more than you are using this excess can be redirected to your immersion heater providing you with FREE hot water. Monitoring Systems - You can obtain sophisticated monitoring systems that will show how much electricity your solar system is generating and how much you are using. Energy Storage - These will take the excess generated by your system and store it for times when you are using more than you are generating. Voltage Optimisers - These can be used to increase the output of your system in certain circumstances. Renewable Energy EV Charging Station - If you have a plug-in vehicle and install an EV charging station with your solar system then you could fuel your car for FREE.